Seville is Spain’s third urban tourist destination, and is ideal for holding events and for individual tourism, for those who seek the pleasures of culture, but also for visitors at conferences, conventions and incentive trips, thanks to the city’s modern infrastructure and excellent communications. Located just ten miles from the city center, designed to receive up to 8 million passengers per year and 25 flights per hour, also has an amazing conectivity. 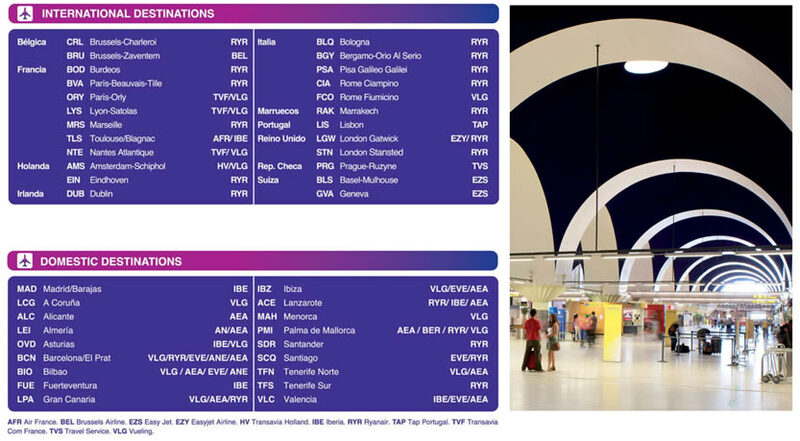 This are the main National and International Departures. Given its size, it is a convenient airport, which offers free assistance to people with disabilities, avariety of shops and restaurants and more than 3,000 parking spaces distributed among the general parking (P1), low cost and VIP area. In the case of P1, advantageous rates are applied to all users who make a booking online. 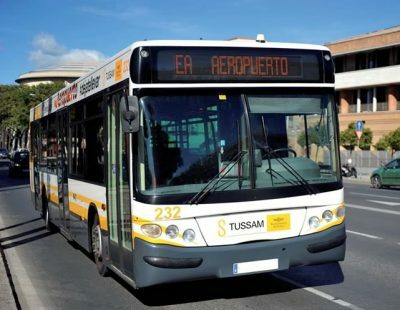 There is a bus service between the airport and the city centre operating from 4:30 a.m. until 1:20 a.m.
T +34 902 210 317. Avda. Carlos V (Prado San Sebastián). 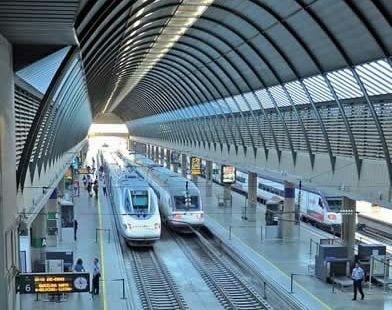 Train services are centred at the Santa Justa Station, the terminal for the AVE High-Speed Train and the Talgo 200 services. These trains have reduced the travelling time from Seville to Madrid to two and a half hours. 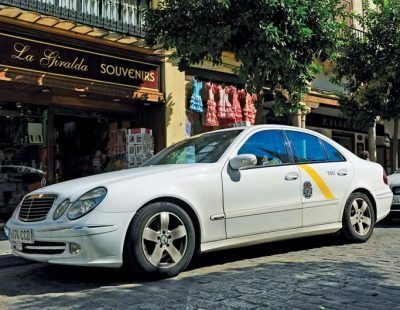 There are over 2,200 taxis in service in Seville, of which 15 are specially adapted for persons with disabilities. These taxis are available to meet all of your needs in safety and comfort, equipped with the latest technology. 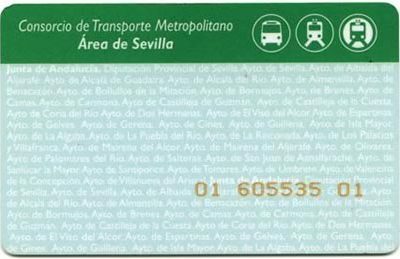 A smart card that may be purchased and recharged at Metro Sevilla vending machines and licensed tobacco shops. It allows seamless travel and transfer between underground, urban and metropolitan public transport, TUSSAM buses, tram and Train to FIBES. 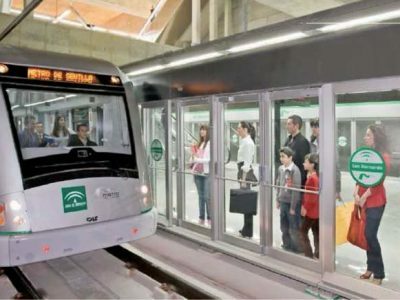 Metro Line 1, which opened in Seville in April 2009, with more than 14,000,000 travellers per year. 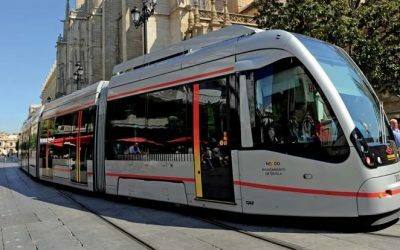 Another of Seville’s public transport systems is the Metro_Centro Tram, It has a Rapid Charge Accumulator system which allows it to run without overhead lines between Plaza Nueva and the Archive of the Indies.